One of the most beloved ways to “floor,” carpet is warm, inviting, and always comforting. With its endless style possibilities, today’s carpets are offered up in every pattern and color under the sun, making it a great addition to many different types of interior settings. Easy to install and instantly transforming, carpeting is a flooring favorite for residential and commercial spaces alike. At Southwest Carpet One Floor & Home, we offer all of the latest carpeting products, and we’re always eager to share our extensive knowledge to help you meet your perfect match. Do you thinking carpeting might be an ideal fit for your upcoming renovation project? Here are a few facts to consider as you shop. Carpeting offers up something for everyone, whether your main goal is to completely change your room’s appearance, or your first priority is stain management. Familiarizing yourself with common carpet terms is an important early step in ensuring that all your needs are met. Carpet fibers, also referred to as “pile,” determine your rug’s performance rating and overall density, as well as its appearance and texture. For a soft and highly durable carpet, polyester and nylon pile is preferred, while wool fibers work well for those with allergies, while offering reliable insulation. Frieze or “shag” carpeting has a casual appearance and soft texture. Its fibers are twisted for a trendy, shaggy appearance. Level Loop carpeting has dense, short pile and works well as an efficient all-around rug. It can withstand lots of foot traffic, so works great in busy spaces. Textured carpeting has a rougher pile that’s very durable. It works well in casual settings, such as dens or family rooms. Plush carpeting has extremely soft pile that mimics velvet fabric. It has a luxurious appearance and works well in formal, quiet settings. Carpeting has much to contribute to home or to your office. Your feet will stay toasty as the weather cools, while your heating costs stay reasonable. Offering ongoing value and convenience, carpet is always in style. At Southwest Carpet One Floor & Home, we carry the region’s most comprehensive inventory of fine carpeting products, including some Carpet One Floor & Home exclusives that cannot be purchased elsewhere. Here you’ll discover quality products from Tigressa, Extreme Value, STAINMASTER, Innovia, and Lees, among others. Visit our Longview and Tyler showrooms today and explore the soft and comforting world of carpeting. 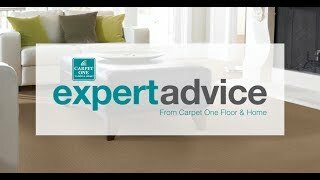 Our carpet experts will help you make the perfect choice for your room. Visit our Flooring Guide. A proper care plan for your new carpet will keep it looking its best, while ensuring top performance.